Could Professional Sports Switch to Robot Referees? Sophisticated data analysis is creeping into more human endeavors — and even into professional sports. But as data technicians struggle to convert human movements into measurements for binary decision trees, some bar stool philosophers are already asking whether there are areas where technology shouldn’t go. One of those areas is a refereeing sports. Several sports are already at least partly officiated by technology, according to an article on the Hewlett Packard Enterprise blog. Since 2006 professional tennis tournaments have been piping high-definition video through an AI system that dispenses binding judgments on whether a ball was in or out. “This technology doesn’t assist the referee. It is the referee.” It’s accurate to within 3.6 millimeters (less than a quarter inch). 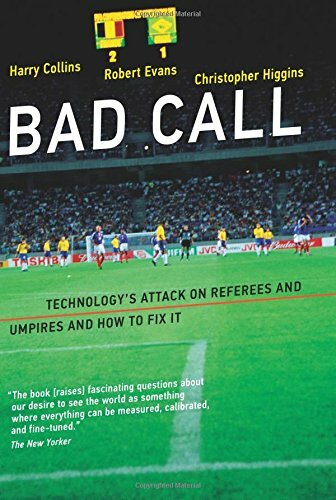 A recent book, “Bad Call: Technology’s Attack on Referees and Umpires and How to Fix It,” explores how technology is now working its way into our other sports — even as its three authors remain skeptical. They’re okay with the “track estimators” used in cricket matches (which predict the route a ball would have taken had it not been hit). But some people have also proposed “goal-line technology” for soccer, monitoring whether a ball has fully entered the goal. The book’s introduction argues this would have a minimal impact on game outcomes — and it wouldn’t even begin to address the 100+ bad penalty calls each season. It suggests there’s a much easier way to improve the game: just let the human referees review video replays. Yet some geeks still look to a day when all sports officiating is automated. In 2006 every MLB stadium was equipped with a camera-based system called PITCHf/x to watch pitches — not just to calculate whether they were balls and strikes (accurate within half an inch), but also watching their speed and direction. 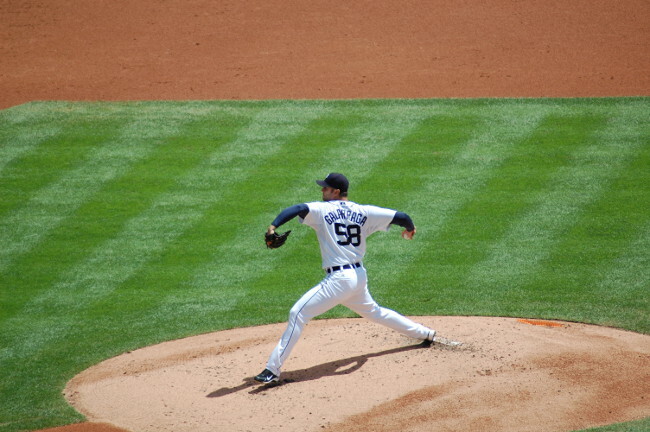 The information was displayed in real-time at the MLB site, in the “GameDay” webcasts of play-by-play game information. But the information wasn’t provided to the officials; only to the fans. So fans could now yell at the umpires while backing up their disagreements with data. As the years rolled along, human baseball officials have made another concession. In 2014 a new rule was added to MLB games allowing managers to challenge a limited number of plays per game, after which it would be reviewed from all the available camera angles. If nothing else, this can spare the umpires from the pain of making a truly bad call. It’s not a hypothetical scenario. In 2010 umpire Jim Joyce tearfully apologized for mistakenly ruling in the 9th inning that a runner was safe at first — thus robbing 28-year-old pitcher Armando Galarraga of the precious final out that would’ve otherwise given him the 21st “perfect game” in the history of major league baseball. The young pitcher had run to first to make the final out, but the umpire ruled that the runner was safe — recognizing his mistake later when he watches a video replay. But in one of the most truly human moments in sports, pitcher Galarraga graciously forgave umpire Joyce, saying that the poor umpire “probably feels more bad than me. Nobody’s perfect. Everybody’s human. 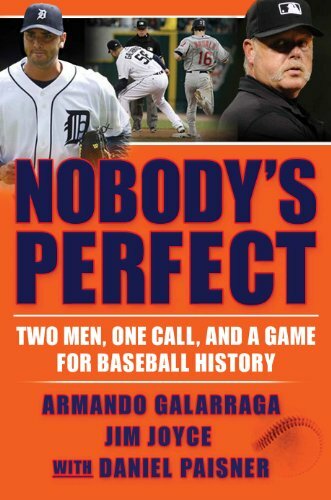 I understand.” Galarraga and Joyce even teamed up to write a 257-page book. The call of the umpire vanishes when confronted with something even greater: Galarraga’s joy of playing the game. “I am too happy with how I am pitching and how I have reached all the way to the end of the game without allowing one of the Cleveland batters to get on base. It is such a joyful moment that nothing can make me sad. It is a perfect, perfect game, and I realize that nothing can change the truth of this perfect, perfect game. I tell this to people later and they do not believe me… I know in my heart that I have now completed my perfect game. The moment my foot touches first base, I know this. IBM’s newest AI project: a robot debater. Are we getting closer to AI doctors? How a machine learning company used cloud-based parallel processing to crack the “unbreakable” Enigma code. A 90-year-old man remembers working on the world’s first stored-program computer back in 1948. Portland launches its “Smart City” initiative with sensors collecting traffic data. Calfornia now offers Kindle-style “e-paper” license plates. Humans react to the news: a man was fired by a machine. Game developers release a new video for the Amiga. Stephen Wolfram’s Mathematica celebrates its 30th birthday. Remembering Kazuo Kashio, the founder of Casio computers. Feature image via Wikipedia, CC BY- SA 3.0.